Ukrainian metal and mining enterprises in 2018 tentatively increased rolled steel output by 1% year-over-year, to 18.446 million tonnes. According to the Ukrmetallurgprom association, steel smelting fell by 2%, to 21.06 million tonnes, and cast iron output increased by 2%, to 20.531 million tonnes. The production figures of enterprises in 2018 were higher in comparison with the same period in 2017 not taking into account two months of work of the enterprises in the Ukrainian government’s uncontrolled area: rolled steel output grew by 3%, steel – by 0.3%, and cast iron – by 4%. In December 2018, Ukrainian metal companies produced 1.803 million tonnes of cast iron (110% to the previous month), 1.845 million tonnes of steel (111%), and 1.603 million tonnes of rolled steel (108%). In 2016, Ukraine boosted steel output by 6% year-over-year, to 24.2 million tonnes, cast iron – by 8%, to 23.6 million tonnes, and rolled steel – by 6%, to 21.4 million tonnes. Ukraine in January-July 2018 increased exports of pig iron in natural terms by 59.3% compared to the same period in 2017, to 1.768 million tonnes. 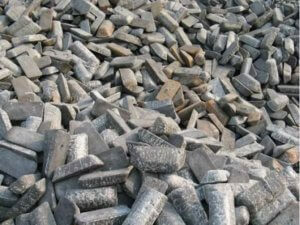 According to customs statistics released by the State Fiscal Service, during this period exports of cast iron in monetary terms rose by 78.6%, to $608.696 million. At the same time, exports were mainly made to the United States (57.41% of deliveries in monetary terms), Italy (14.21%), and Turkey (8.35%). In January-July 2018 Ukraine imported 836 tonnes of similar products for $493,000, while in January-July 2017 some 1,352 tonnes worth $683,000. Imports were carried out from Russia (79.31% of deliveries in monetary terms), and Germany (20.69%). As reported, Ukraine in 2017 reduced exports of cast iron in natural terms by 7.8% compared to the previous year, to 2.342 million tonnes, but increased in monetary terms by 33.9%, to $738.130 million. At the same time, exports were mainly made to the U.S. (55.05% of deliveries in monetary terms), Italy (24.69%), and Turkey (7.95%). Ukrainian metal and mining enterprises in January-June 2018 boosted rolled steel output by 5% year-over-year, to 9.247 million tonnes. 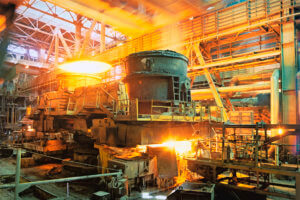 According to the Ukrmetalurgprom association, steel smelting grew by 1%, to 10.347 million tonnes, and cast iron output increased by 8%, to 10.151 million tonnes. 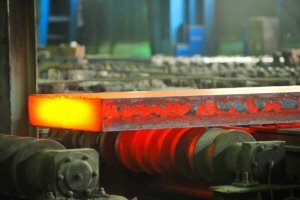 The production figures of enterprises in January-June 2018 were higher in comparison with the same period in 2017 not taking into account two months of work of the enterprises in the Ukrainian government’s uncontrolled area: rolled steel output grew by 10%, steel – by 5%, and cast iron – by 14%. In June 2018, Ukrainian metal companies produced 1.631 million tonnes of cast iron (103% to the previous month), 1.669 million tonnes of steel (98%), and 1.524 million tonnes of rolled steel (98%). “Despite the loss of a part of assets located in the uncontrolled area, the metal and mining enterprises in the territory controlled by the government in H1, 2018, increased the production of cast iron, steel and rolled steel to the results which are higher than in the same period last year,” the association said. UKRAINE SEES 89% RISE IN CAST IRON EXPORTS, HALF OF SHIPMENTS GOES TO U.S.
Ukraine in January-June 2018 increased exports of steel-making pig iron in natural terms by 88.9% compared to the same period last year, to 1.592 million tonnes. According to customs statistics released by the State Fiscal Service of Ukraine, during this period exports of pig iron in monetary terms increased by 52.4%, to $544.138 million. At the same time, exports were mainly carried out to the United States (57.87% of deliveries in monetary terms), Italy (14.55%), and Turkey (9.18%). Ukraine in January-June 2018 imported 652 tonnes of similar products for $367,000, whereas in January-June 2017 some 1,240 tonnes for $623,000. Imports were carried out from Russia (77.66% of deliveries in monetary terms), and Germany (22.34%). As reported, in 2017 Ukraine cut exports of steel-making pig iron in natural terms by 7.8% year-on-year, to 2.342 million tonnes, but increased exports in monetary terms by 33.9%, to $738.130 million. Exports were mainly carried out to the United States (55.05% of deliveries in monetary terms), Italy (24.69%), and Turkey (7.95%). Ukraine in 2017 imported 2,000 tonnes of similar products for $1.020 million, whereas in 2016 some 1,755 tonnes for $661,000. Imports were carried out from Russia (86.37% of deliveries in monetary terms), Germany (13.43%), and Denmark (0.2%).